’24 Frames’ is a very welcome series from Wallflower Press that over the last few years has begun to introduce new audiences to films from ‘national and regional cinemas’ around the world. These are scholarly collections with 24 articles on individual films in each collection. The definition of a ‘regional cinema’ is always going to be arbitrary and the introduction to this collection by the editor turns the arbitrariness to the advantage of the book. On the one hand, the definition here of ‘North Africa and the Middle East’ includes three major film-producing countries, each of which deserves its own volume. On the other, there are good reasons, historical, political, cultural etc., why it is useful to group these cinemas. Commercially, the ‘region’ represents only a small part of the international film market, even though there are sizable local audiences and the potential for wider distribution. To illustrate the problem of definitions, the annual ‘World Film Market Trends’ publication, Focus (from the European Audio-Visual Observatory) includes all of Africa and the Middle East, but not Turkey. In this collection, Turkey is included, but not sub-Saharan Africa. The Middle East is a highly problematic term that has arguably increased in usage with its importance as a concept in American foreign policy. The term was first popularised during the European colonial/imperial period, but then it referred primarily to Iraq and Persia/Iran. As a child, I remember the term the ‘Near East’. For the British, the ‘East’ began at Suez and the ‘Far East’ began at Singapore. India and Burma were the Raj. These are my memories of terms that lingered on after the Empire went. These terms at least had a (Eurocentric) logic that isn’t there in current usage. As Gönül Dönmez-Colin points out, the term ‘West Asia’ is sometimes used by Indian scholars and it does make more sense. Egypt and Turkey then conveniently straddle Asia and Africa/Europe respectively. The region does not have a single language culture. Although Arabic, English and French are used extensively, Turkish, Hebrew and Farsi are distinctive language cultures. Religion and ethnicity are also mixed, especially in the littoral that the French used to call the Levant, with Lebanon and Beirut in particular celebrating diversity. This cultural mixing has contributed to several distinctive modes of film culture, both in production and in distribution/exhibition. The latter means that whilst some films from the region have been widely available in European and American specialised cinema circuits, others (generally those more popular with local audiences) have struggled to be seen outside parts of the region. There is now the beginnings of a Turkish popular cinema in limited distribution in Germany and other parts of Europe for the Turkish diaspora and also the possibility of Arabic-language films on satellite, but again these are unlikely to be seen by ‘Western’ audiences. The difficulties of distribution mean that I have only seen three of the 24 films discussed in the book (although I have access to a couple more that I will get to eventually). It’s difficult therefore to evaluate the coverage of the diversity of material presented here. I can’t criticise a book because I haven’t seen the films, but the availability of films is an issue in opening up study. You can just imagine the headache the editor must have had trying to commission authors and titles, trying to represent an historical perspective and a spread across national cinemas, popular cinema and specialised cinema. For the record, the book has entries on four films each from Egypt, Turkey and Iran, four from the Maghreb (Morocco, Tunisia and Algeria) and seven from what was the Levant (Israel, Lebanon, Syria and Palestine – several involving co-productions, often with France) with the last entry about an Iraqi film, Forget Baghdad: Jews and Arabs – The Iraqi Connection, produced from Switzerland and Germany. The only films made before 1970 are Ghazal Al-Banat (Candy Floss) and Bab El-Hadid (Cairo Station), both from Egypt in 1949 and 1958 respectively, the first representing the Egyptian studio system, the second Egypt’s principal auteur, Youssef Chahine. I have seen two of the films in the last couple of years, Silences of the Palace (Tunisia, 1994) and Uzak (Distant, Turkey, 2002), so I’ll focus on the analyses of these two. Viola Shafik’s essay (10 pp with references) on Silences of the Palace proved invaluable in working on the film for a recent course. The film did very well on the festival circuit winning prizes and it received distribution in Europe. It tells the story of a young woman growing up in the ‘women’s quarters’ in a Bey’s house (Beys were the aristocratic rulers in Tunisia, granted privileges by the French colonial administrators) in the 1950s. The story is told in flashback by the central character who has become a cabaret singer by the 1960s. Shafik begins with a commentary on the film’s critical reputation and she points out that although revered in the West as an ‘art film’, partly because it deals with the position of women in Islamic society, it is in fact a skilful re-interpretation of a classical melodrama. Shafik then notes that in 1995, the film was distributed widely in the West but, apart from within Tunisia itself, it was not sold to distributors elsewhere in the Arab world (i.e. unlike popular Egyptian melodramas). She goes on to explore the complex set of theoretical issues around ‘popular’ and ‘art cinema’, the denigration of Egyptian melodramas, the subtle transformation of the genre in Silences, the ‘moment’ of liberation from colonial rule as represented in national cinemas etc. By providing useful specific cultural knowledge as well as contextualising insights, Shafik makes possible a much richer reading of the film. Nuri Bilge Ceylan has ‘arrived’ in Europe and North America as an auteur, introduced outside the festival circuit by Uzak. In 2007, his position was firmly established by the critical reception to Iklimler. Uzak deals with the arrival in snowy Istanbul of a man from the rural hinterland. He comes to the apartment of his cousin, a photographer and very much the ‘metropolitan man’. The cousins have a very ‘distant’ relationship, exploration of which is the focus of the film. (The photographer is a typical character partly based on Ceylan himself.) S. Ruken Ozturk’s essay is just eight pages. Again, like Viola Shafik, she provides contextualising information about Ceylan’s earlier career, about the differences between Ceylan’s work and those of diaspora filmmakers such as Fatih Akin. She emphasises that Distant has been seen by far more cinemagoers in France (150,000) than in Turkey (60,000). What follows is again a rich reading of the film in terms of allegory and metaphor (Istanbul is a ‘distant place’ of 10 million souls caught somewhere between Turkey and Europe, the tale of the two cousins is played out in three scenes using a mousetrap – linked to the fable of the town mouse and country mouse) as well as in terms of a discourse of masculinity. I would have found this very useful after I’d first seen the film and again when I was teaching Iklimler. If the rest of the entries are up to these two, I think that this will prove to be a valuable book. It has certainly encouraged me to think about hunting down more of these films on imported DVDs. The ‘naming’ of regions is also an issue in this collection. For far too long, the four countries of Hungary, Poland, Slovakia and the Czech Republic have been viewed as generally ‘East European’ and up until 1989 as part of an Eastern bloc dominated by Soviet Communism. As a result, the films have been viewed through a prism of ideological awareness – judged by the extent to which they have confirmed or resisted Soviet hegemony. But before 1939 ‘Central Europe’ was something of a powerhouse of artistic achievement deriving in part from the nationalist struggles of artists within the Austro-Hungarian Empire and in the new nation states that followed the break-up of the Empire after 1918. In this conception, I would expect to include aspects of German and Austrian Cinema, but I’m sure they will be part of another volume (and in any case will have different kinds of concerns). 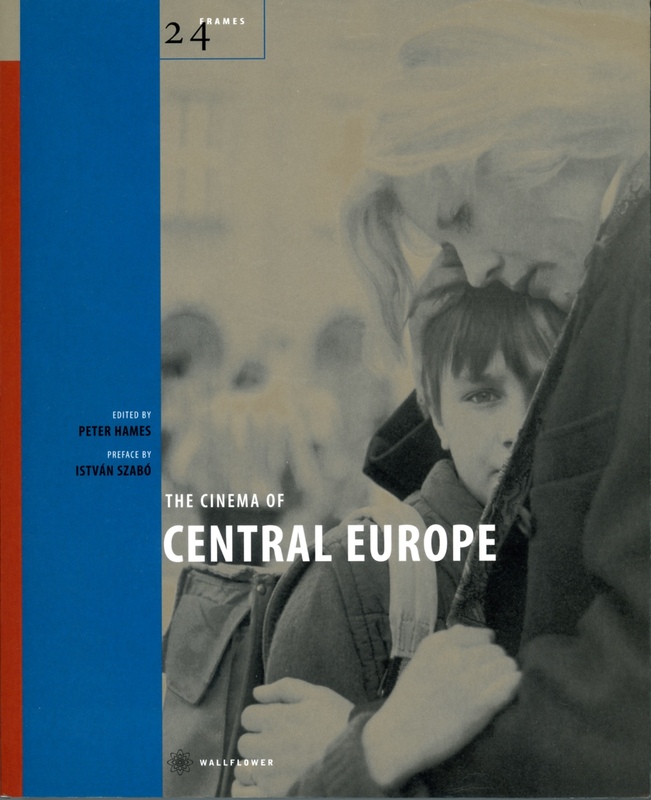 Peter Hames’ collection of essays covers the four countries and the films range from the 1930s to the mid 1990s with a perhaps understandable focus on the mid 1960s (the period of the Czechoslovak New Wave). Apart from some of the earliest films, most of the titles have been distributed in the UK and several are now available on DVD. These include films by well-known European auteurs such as Andrzej Wajda (Ashes and Diamonds, 1958 and Man of Marble, 1977) and Krzyzstof Kieslowski (Dekalog, 1988). In this case, I have seen many of the films discussed and I have used material in the book on an evening class covering Central European Cinema. I found it extremely useful and I’d recommend it. 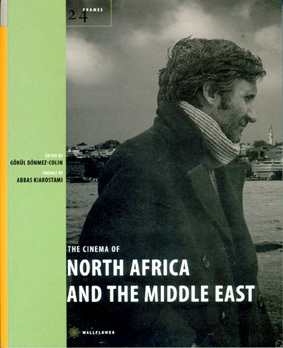 This entry was posted in African Cinema, Book Reviews, East European Cinema, Iranian Cinema, Turkish Cinema. Bookmark the permalink.